I love mac and everything I own from them I treasure like a child. It's not a brand I can always afford and I have to really love something to splash out the money for it, even though I always know it will be worth it! 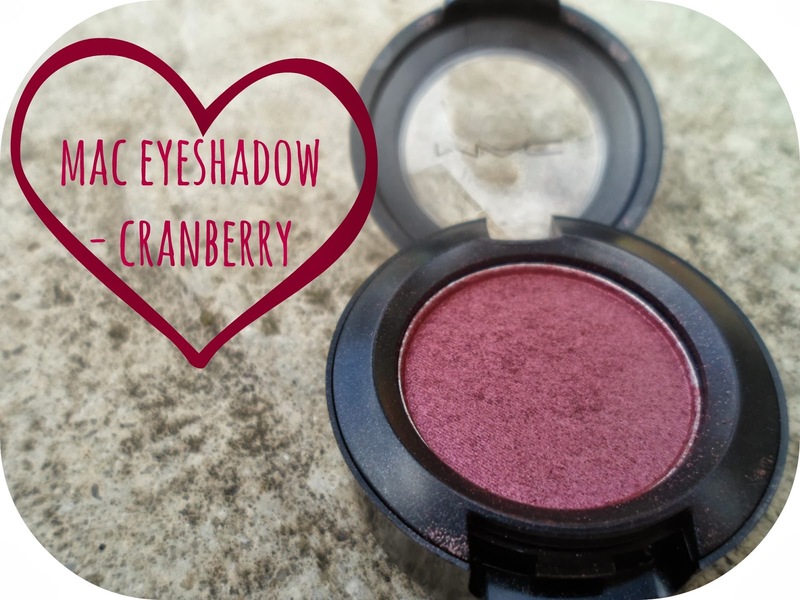 Something I have been looking at for a long, long while and totally lusting over is this eyeshadow, Cranberry. Alot of my Mac purchases are bought online or on holiday and it's always exciting when I get new stuff... yes I'm that cool. This shadow that I have been seen everywhere for months and months and even though it is only £12.50 (in the long run, not that expensive!) it has taken me a while to cough up the cash for it! I'm sure you have all seen this by now but if you haven't I'm sure you are falling in love right now! This is definitely has more of a purple tint in real life than the photos are making out - 'boo you whore camera!' but as you can see the colour and quality is of course amazing! This is an absolutely perfect colour for Autumn and a fantastic addition to any collection! I cannot wait to use it again and create some great smokey eyes with it! And if this isn't the sort of colour you've used before -don't worry, me either - I was a little nervous it would look a bit crazy and OTT on me but it is subtle and blends so well, I used it along side my Urban Decay Naked palette and it worked great! Have you bought this badboy yet? 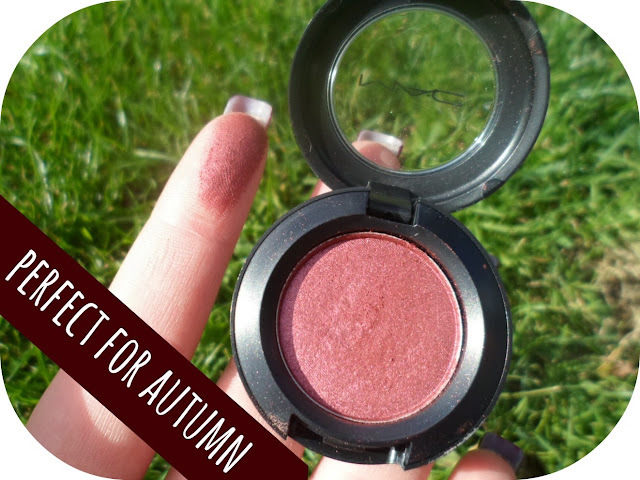 Any other Autumn coloured shadows you can recommend to me? 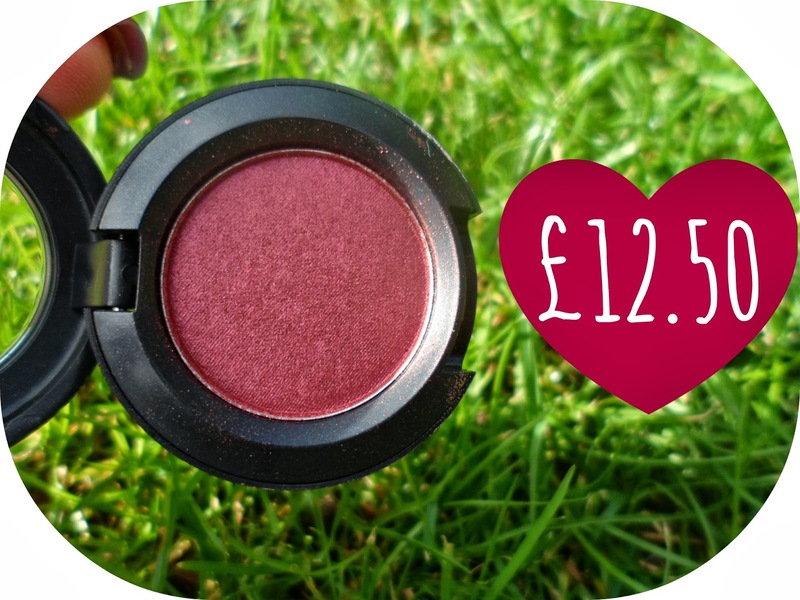 I am loving this colour - I absolutely love MAC eyeshadows I find they really do last a long time. I've also did a post about a few that I managed to purchased from ebay for £5! . You should check it out and try there also, you really can get some awesome bargains. This is on my christmas list, it's so perfect! Cranberry is a really pretty shade! I have it too but I don't wear it very often.. I should! This looks like such an amazing colour! I really want some MAC eye shadows and this is really high on the list! The colour looks gorgeous! I really want to start a MAC eye palette and this eyeshadow is at the top of my list to buy first! Cranberry is definitely perfect for Autumn, I need to get it ASAP! I don't have this one- I am seeing it everywhere though! Going to have to grab it! Thanks for the share! Hey! 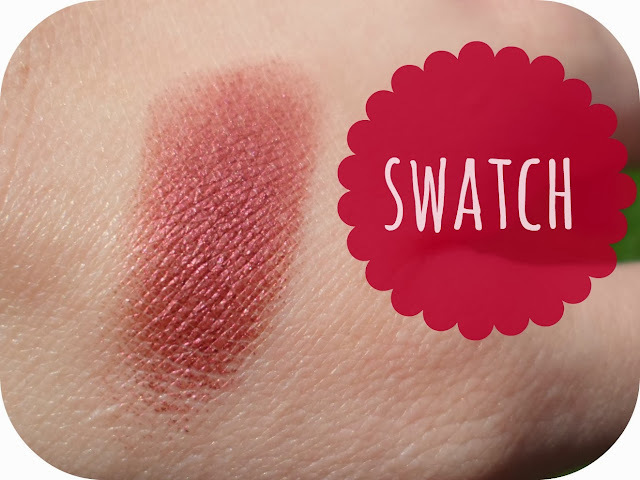 Ive been thinking about buying this eyeshadow for a while, but still undecided.. what colours would you suggest to wear with it? !